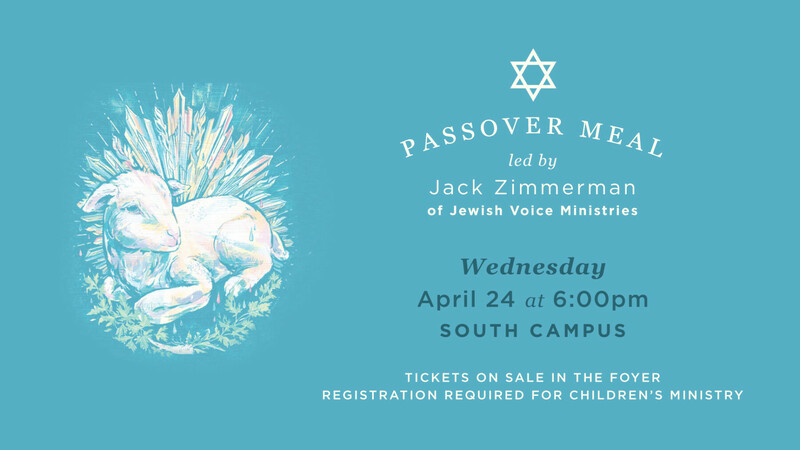 Join us for the Passover Meal, led by Jack Zimmerman of Jewish Voice Ministries. Tickets (including meal) on sale in the foyer of each campus during weekend services. Tickets also on sale in the front office at each campus during the week; Monday - Thursday, 9am - noon; 1pm - 5pm: Adults $15, Youth $10 (ages 12-17). Elementary Children will join Children’s Ministry for a separate Celebration (no meal). Ministry available for children ages birth-5.